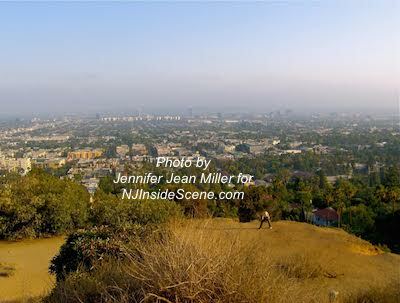 View from Runyon Canyon Park by Jennifer Jean Miller. I’ve recently subscribed to a YouTube Channel of a young man Mikey Murphy who runs a very popular channel. I’ve actually gotten familiar with his channel through his mom and dad, who I knew from high school…along with his aunt…all wonderful people…and based on the content that I see coming from Mikey’s channel, I know from his wisdom, good-nature and vivacious smile, it all runs in the family. Not to mention, this channel was started in New Jersey, which earns him another thumbs up as one more creative talent the Garden State can be proud of. With close to 240,000 subscribers and eight million channel views…this innovative teen is already going places as an inspiration and role model to youth…and quite honestly he can be an inspiration to everyone for that matter. As a parent I have come to realize, we do need to step back and look at the world through the eyes of our youngsters. I listen to my kids and their insights into the world and things that they say, for example, and no matter how dark a day may look, their perspective brings it all back into perspective. Maybe life has jaded us in some way or another and we forgot the promises and the dreams that may have been a part of our makeup back in the days when time seemed endless. At the same time I’ve learned, these setbacks we might experience in our lives are opportunities for growth and also to help others. And of course…there are good things too…why do we want to rush those moments? Don’t they go quickly enough as it is? The quote that has floated around especially online over the last several years, “Life isn’t about waiting for the storm to pass…it’s learning to dance in the rain,” comes to mind as well with the many thoughts I’ve had on this topic…which to me is simply the importance of living our lives. How true is that? Those dances in the rain can be healing for our spirits…rain can be symbolic of pain but water is also representative of cleansing…and taking those experiences that may be causing us the pain during the storms…will only make us stronger and more appreciative of those rainbows and those rays of sun that beam down once the storm has passed. Rain can offer us a fresh start actually and make everything new and green. But in the meantime, Mikey, in young years…has already seen what many of us way beyond his years have missed. That so many of us are looking to fast forward past certain moments of our lives to reach something that may be our goal…or a time that we believe might be better than what we’re experiencing now. “So rather than sitting here looking around, enjoying the people around me, enjoying the experiences I’m being offered already, I’m focusing so much on the future,” Mikey added. How many of us still do that? We rush through the current experiences to get to what we consider the means to an end or the end. Maybe we’re just so excited to get to “the end” or the “finish line,” because we are sometimes so goal-oriented in our society that we are looking just at the victory. Or, is it something upsetting that we feel “we just want to get through this and can’t wait until it’s over so things will be better?” If the latter, how many gifts are we missing between those raindrops? And how much can we learn from all of our adventures in life overall as we are going through them? “Everything I do over the next year and a half, is going to be just as important as any other time in my entire life, whether it’s already been experienced, or whether it’s going to be experienced,” Mikey also said. Wise beyond his years and something we all need to take into account as we navigate our way through this life…that this moment…right now…totally counts and will influence what happens to us in the future…not just a year and a half but tomorrow too. Thank you Mikey…your words resonate here and I know with so many of us who are old enough who could be your parent too. How many of us…readers and those who know me as a friend…try to rush to the end result? How many of us tried to rush to the end when we were Mikey’s age and still try to plow forward very quickly? Aren’t things so much better when we’re not rushing through them? When we make rash decisions, doesn’t a positive outcome always take longer? Or don’t we need to start over again sometimes. When we sit back, even in the hard moments and take a prayerful deep breath and then take that leap of faith…isn’t it so much better than knee-jerk reacting? I have readers of all ages reading my post…for those who are younger…why not subscribe to Mikey’s channel? I think you’ll find a lot of wisdom and positivity…he even has a great video about the subject of having been bullied, which also has a positive message and how he has endured and triumphed over it…and like the video that inspired this post, also has put a lot of thought and heart into what he has said to inspire his viewers. 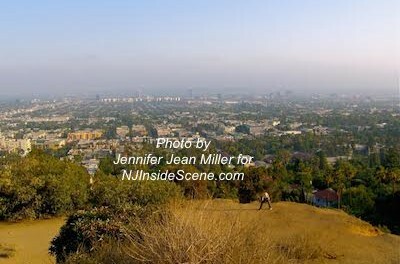 One is John Mayer’s song, “No Such Thing.” For those who follow NJInsideScene, this is a song you might have noticed that I used in my promotional video when I first launched this site. It’s a song that to me shows promise. For someone who started professionally writing at a later time in life (those who know something about my life story, my dream was deferred when I dealt with pushback from my elders, telling me I needed to embark on “practical” endeavors…life brought me back into the creative path and for that…I’m so grateful that I never lost the dreams in my heart…and along the way, I’ve experienced different things in my field…from book writing to content writing to news writing to photography and more…). Like what you read here? 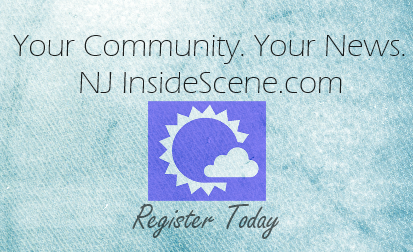 Stay on the scene with NJInsideScene.com. Click here to follow us on Facebook.